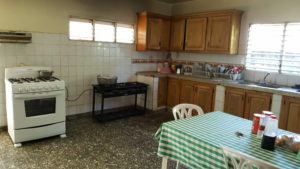 ﻿ Our Experiences – a visit to Martina’s Home in Dominican Republic! – Let Your Experiences Be the Difference! 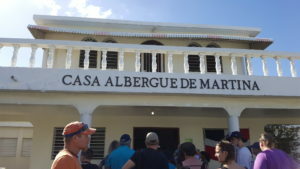 On a shore excursion provided by Carnival Cruise Lines, we had the privilege and honour of visiting Casa Albergue de Martina (Martina’s Hoome). We toured the island in the morning and had a fantastic lunch on this excursion – but the highlight was this stop. 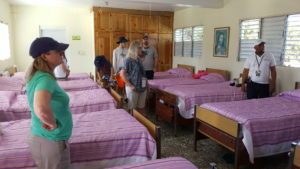 Martina’s House is an all-girl orphanage that currently provides a home to 23 young girls. T!is orphanage relies on community and tourist donations to continue their work. Girls as young as 3 come to live in Martina’s Home and are welcome to stay until they are grown ladies. Once they are adults, they have an opportunity to move to the city (with some initial government assistance) or stay on at Martina’s Home providing care for the little girls and assisting the director with household chores. During our visit, we were able to provide the girls with some toys, sports equipment, books, school supplies – and much needed cash donations! 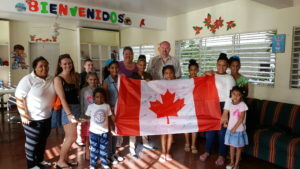 One of our group members even presented the home with a Canadian flag signed by all the members of our group. We were given a tour of the facilities and the younger girls who weren’t in school performed some songs and dances! They received their gifts with gratitude – and the most amazing part – folded our flag (officially) and presented it to their President of the home (who happened to be there for a visit). There are several ways to give back to local charities while you are in a destination. Delivering supplies / donating cash to a local orphanage is certainly an excellent way to give back! 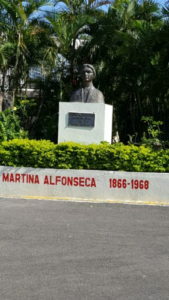 This foundation owes it’s beginnings to a reformed prostitute, named Martina Alfonseca, who wanted to show her faith in her own conversion by dedicating herself to pick up the sick from the street and take them to her house to care for them ensuring their passing was blessed. She did the same for the disowned of the hospital institutions (psychiatric wards). After a while she felt that her heart was asking seeking more, so she began picking up the girls that were wandering in the streets and protecting them from falling into prostitution as she had with her life. She broadened her goal integrating girls who came from broken homes (death of one of the parents, or by divorce). When Martina sensed that her time on earth was nearing it’s end, she decided to leave her work in the hands of charitable people (and a prominent group of people in Puerto Plata) who can give continuously and develop her home to the fullest Her work continues through these donations and helps to keep these young girls safe and encourage them to grow and learn in a safe, healthy environment! Could someone please let us know what the girls need most. We will be coming at the first of October and each of us are planning to bring supplies and we would love to bring whatever they need the most. Our group took various items to the home. Cash being number 1. One couple gave soccer balls, baseball gloves and baseball. The younger girls in our group gave a lot of hair supplies, Elastics, shampoo, clips, head bands etc… They also need a lot of school supplies. Like note books, pencils and markers. 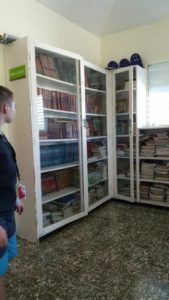 We also gave a few Spanish childrens books. Any person items a young girl can use would be welcomed. This was one of the best things I have done while I was on vacation. The excursion is so worth it!! !I plan to do this again when I return to Amber Cove. Enjoy!